In this April 6, 2017, file photo, former United States Secretary of State, Hillary Clinton speaks during the Eighth Annual Women In The World Summit at Lincoln Center for the Performing Arts in New York City. For over 600 days, Hillary Clinton's pastor wrote daily inspirational letters drawn from Biblical scripture during the presidential campaign. Hundreds of those letters have now been compiled in a book, "Strong For a Moment Like This." The collection features a letter sent in the aftermath of her election loss. Rev. Dr. Bill Shillady, the New York-based executive director of the United Methodist City Society, has been a longtime friend and pastor to the former U.S. secretary of state, senator and first lady. “I wrote to her on a daily basis. If I was not writing then there was team of writers,” Shillady said during a phone interview with NBC. The collection, published by Abingdon Press, includes 365 of the more than 600 devotions written for Clinton, along with personal notes, portions of her speeches, and headlines that provide context for that day’s devotion. “On the difficult days, like the terrorist incidents, we dug deep and found gratitude for life,” he said. The day after the 2016 election, Shillady sent a letter beginning with the title "Sunday Is Coming" and ending with one of his cherished phrases. "You know one of my favorite sayings is 'God doesn't close one door without opening another, but it can be hell in the hallway,'" he wrote in the last paragraph. "My sister Hillary. You, our nation, our world is experiencing a black Friday. Our hope is that Sunday is coming. But it might well be hell for a while." According to Shillady, the post-election letter has been shared over 40,000 times on social media. 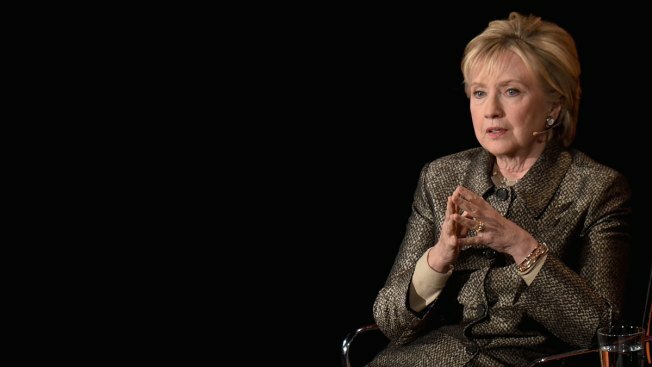 The letter shares the struggle of disciples after the loss of Jesus Christ and the reminder that for Clinton there was more to be grateful for in life. The book, "Strong For a Moment Like This," is due for sale in stores and online on Aug. 15. Shillady and his team of writers came from different backgrounds, including Presbyterian, Baptist and a clergy of women. All the clergy writers, hopeful about the outcome of the election, used daily news headlines as a source of inspiration for the devotions. NBC contacted the Clinton Foundation for a comment about the book and have not yet received a response. Shillady said each chapter in the book is organized into 12 themes, such as forgiveness, doing good, courage, and women. EDITOR'S NOTE (August, 15, 2017, 11:27 a.m. ET): The Rev. Bill Shillady acknowledged he plagiarized part of the "Sunday is Coming" devotional and apologized to Matt Deuel of Mission Point Community Church." We fully accept his explanation that he did not intentionally leave Matt Deuel's passages unattributed," Abingdon Press' editor in chief said in a statement. Read more here.